Ok, so your toddler is showing all the signs of being ready to lose the nappies and have big boy or girl pants...let’s talk toilets for little people, and the essential potty training gear. This review is for 3 different potties, and a training seat and some liners. They are the 3 potties that the boy uses every day, and in due course the girl will too (in fact I think sooner than I will be ready for!). Why do I love this potty? (originally recommended to me by Alison!) Well, cleaning a potty is a low light of parenting. Honestly, I prefer nappies where everything is contained. 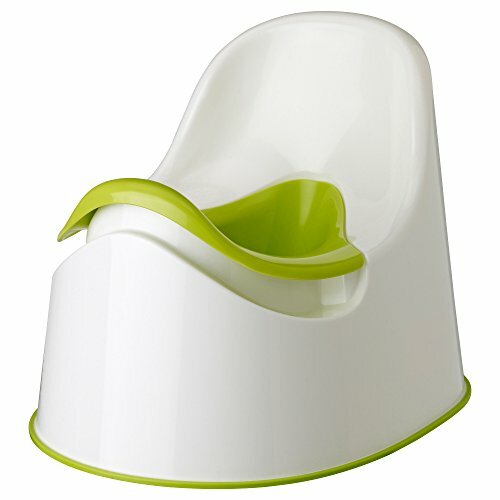 However, your darling toddler can’t stay in nappies forever and the design of this potty makes cleaning easy. The green insert rests on/in the white chair and so when business is complete you can take it out and port to the toilet. The shape is well designed to pour and rinse under the flush. Also, as potty’s go, it looks good and the high back gives a comfortable support for when your toddler needs to settle back at the important time and read a book or watch some Cbeebies! It looks to me like Ikea have probably been inspired by the Baby Bjorn potty chair, which I have never tried so cannot comment beyond the price tag of £19.97 - £29… so I know where the smart money is. My advice is to take a trip to Ikea, doubtless you’ll come out with more than just a potty! Or get it online here. We also have this potty. Why more than one potty I hear you ask?! An advantage of this potty is that it is smaller, so if you need to take a “proper” potty away on holiday with you for example, then it is more portable. Simple, no frills but does the job well. It lives in the boy’s bedroom for morning and night time.The boy seems equally happy using this one as his Ikea one so from this I assume it provides enough comfort for his little bottom. And whilst it doesn’t have an insert for flushing, making it not quite as swish as the Ikea one, it is small enough for this chore not to be too awkward. Here is the link to take a look, and purchase if you wish. In my humble opinion: Essential. I love this gadget. Love it. It may feel like a luxury, but anyone who has embarked on potty training knows the little, seemingly innocuous, phrase “mummy, I need a poo/wee”, actually means, “mummy, I need a poo/wee, RIGHT NOW”. I am generally one to shy away from products that you buy but then require refills, to me it seems like a cost that could spiral and be disproportionate to the original cost/use benefit of the item. This product, however, defies my usual approach. Ultimately this is about convenience. Of course, you can potty train without it, but it really can avoid a trip out of the house/ car journey/day out being potentially messy and a bit stressful. And you don’t have to use it with the bags. It is 2 in 1 because it is also a toilet trainer seat (and I love that it means my son doesn’t have to sit on and touch dirty public toilets - I just give it a good anti-bac clean when I get home.) Also, you could make your own bags at a lesser cost: you could get your own plastic bags (I would recommend something thicker than a nappy bag) and line it with something absorbent, a pad or maybe just some kitchen roll, and away you go. I haven't done this, but know people who successfully have. As this product is about the convenience, you may prefer to just buy the bags though. The only negative thing I can think to say about it is that sometimes when packing it away it can be a bit fiddley to unclick and fold flat. I don’t know if they all do this or just my one. 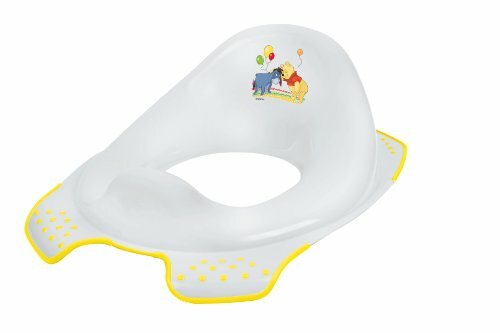 Anyway, in the “mummy, my wee wee is coming NOW” moment (especially if you have pre-loaded with the bag) it's quick and easy to prepare the little throne for your prince/princess!!! And I can see us using this for years to come, as even when the urgency of the initial months of potty training are past, I suspect that this will remain permanently in situ in the boot of my car. Until then, it comes everywhere with us! Believe it or not I spent almost an entire evening researching which toilet training seat to buy. Whilst the boy loved using his potty, I was most enthusiastic about him using the toilet directly ... without falling in (this actually happened to him recently at nursery, on top of the poo he had just done, hilarious apparently, but not an scenario I want to clean up!!!). The more I thought about it the more that handles, padding and any form of music seemed totally unnecessary. It was to perform a simple function, it needed to be simple and a sensible price. So, let me give you the gift of an evening you don’t need to spend researching! My evening of research was worth it. Who doesn’t like Winnie the Pooh?! It’s a unisex design, has fitted onto every toilet I have tried it on, it has a little back support, is substantially made, and comfortable (I can attest to this!). Thumbs up from me, ticks all the boxes. 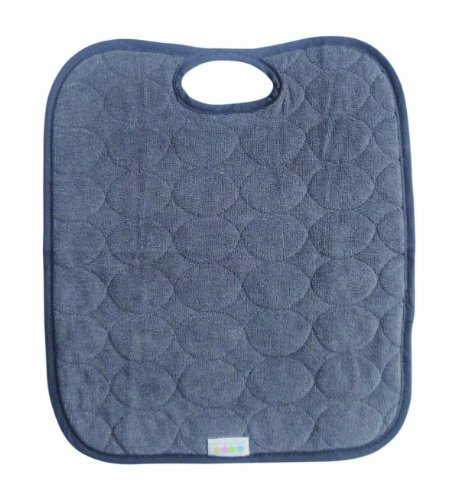 Last, but certainly not least, are these seat liners by Koo-di which I recommend because, unfortunately, accidents are inevitable. I have 2: one for the pushchair and one for the car seat. They wash an awful lot more easily than the item that they are protecting, and have saved me time and effort on a few occasions. I rate all of these products with our Five Little Stars, so if you have some or all of them (as well as a mop, some carpet cleaner, a sticker chart and a large glass of wine) then you're ready. p.s. And finally, my biggest top tip for potty training is.... Haribo! If you like you can share this review using those little social media buttons below. We would love it if you did. Help us to reach more parents who might find this useful 👍🏻 and head over to our Facebook page for a tip on how to get your little one dry at night quickly once the day time is sorted!